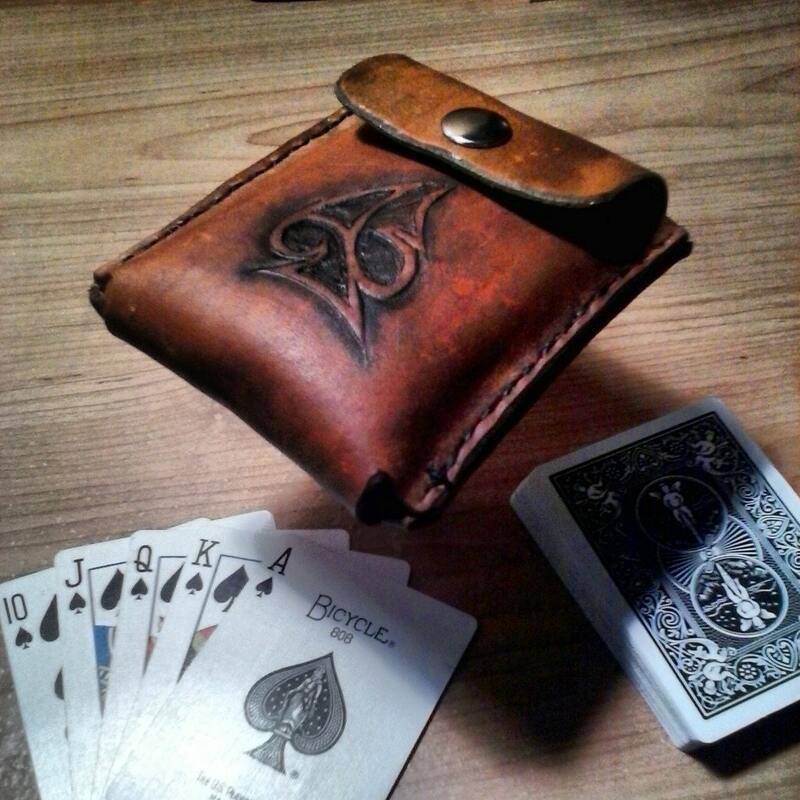 Custom genuine leather card case protects your favorite deck in style. 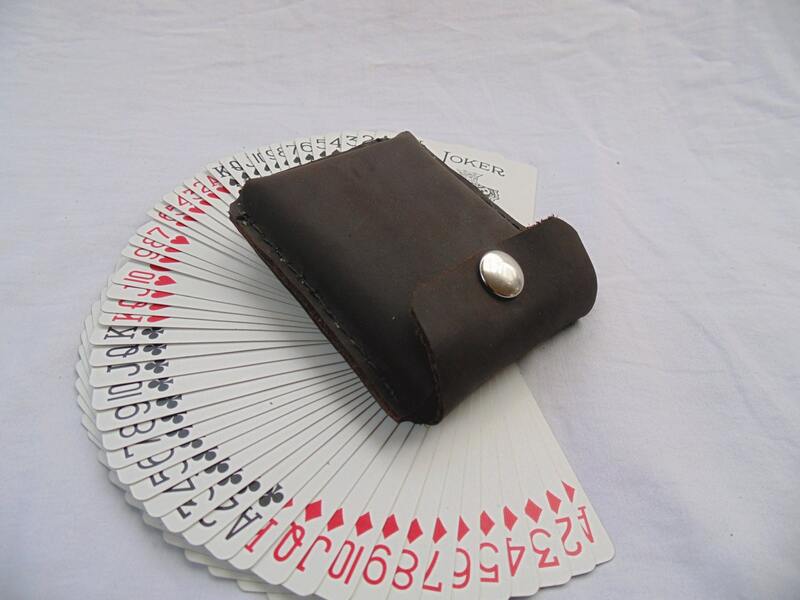 Hand made to order. Choose from a variety of different finishes and colors and even add tooling! 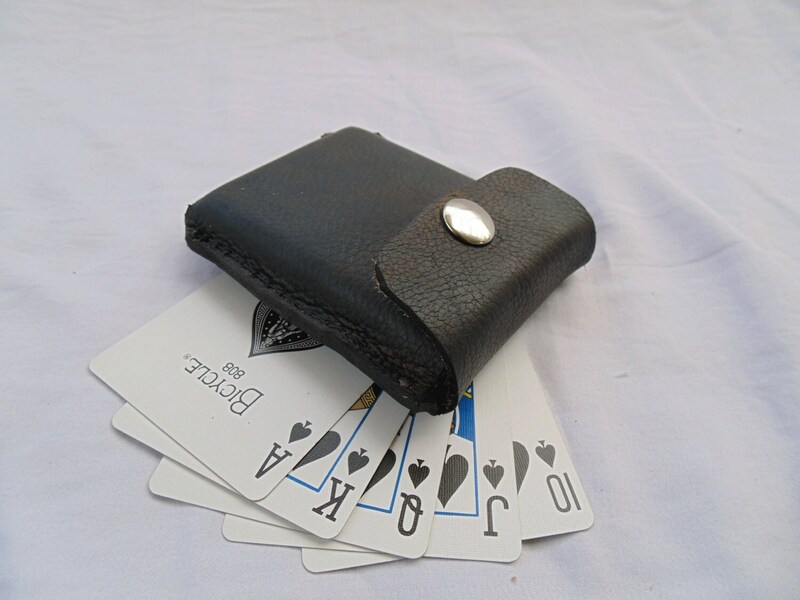 Fits a standard Poker sized deck of cards (in box). Sturdy snap closure.